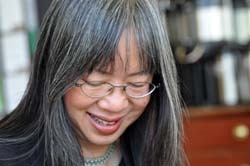 Grey hair is an inescapable problem for all of us, most especially for people who are already in their senior years. 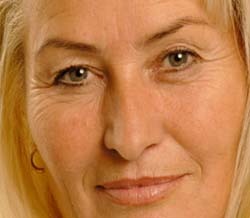 However, some people who are still young already start to have grey hair. That is because having grey hair is not only related with age but also with the cells involved in hair coloring. The human hair gets its color from melanocytes which produce certain colors like black, dark brown, red, yellow and so on. So what causes grey hair? You see, when these melanocytes start to die off, they no longer give out color – resulting in grey or even white hair. The first round of grey hair appearance is not only dependent on age and melanocytes but also the age when your parents or grandparents started having grey hair. In short, having grey hair is genetic or hereditary. Although there are commercially available products that can dye your hair back to its natural color, there are also home remedies that can prevent grey hair. 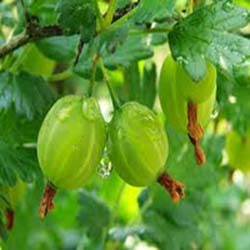 Indian Gooseberry (Amla). Simply boil a few pieces of amla in coconut oil. Wait for the amla pieces to turn black before turning off the fire. Combine the mixture properly and apply the paste onto your hair. Let it stay for about 10 minutes and wash off. Curry Leaves. Curry leaves can bring back the natural color of your hair. Just boil some curry leaves with coconut oil and wait until the curry leaves turn black. Strain the liquid and apply as a hair tonic onto your hair. Salt and Black Tea. Mix in 1 tablespoon of salt in plain black tea. Combine the two ingredients thoroughly and massage it onto hair. Leave it on for 1 hour and rinse off. Try these tips at home let me know how these tip work for you. Or if you have somebody who need this, please share this with them so that they are get the benefits as well. For more articles,visit Natural Health Care Reviews. 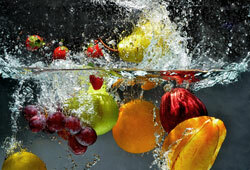 Washing fresh fruits and vegetables is no longer an option. With the tons of chemicals and pesticides that are used in the agriculture industry nowadays, we can never be too sure about safely consuming fruits and vegetables. There are quite a few chemicals that will not be easily washed off with just water alone. Most fruit and vegetable washes available commercially are also made of various chemicals – adding only to what we wish to remove from the fruits and vegetables about to be eaten. Here is a natural homemade fruit and homemade vegetable wash recipe that you can try making at home.This recipe does not call for any harmful substance or chemicals so it is quite safe to use even for fruits and vegetables intended to be consumed fresh or uncooked. 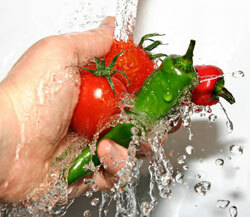 Are you washing vegatables in the right way? Simply prepare all the ingredients and materials needed and start making the fruit and vegetable wash. First, squeeze out the juice of one lemon and pour it onto the empty spray bottle. Fill in the spray bottle containing the fresh lemon juice with equal parts of distilled water and vinegar.Spray on the mixture to fruits and vegetables and rub it in. Rinse with water or wipe off directly. You can also soak soft skinned fruits and vegetables into the wash for about two minutes and rinse or wipe off.The mixture will remove pesticide and chemical residues on the skin of fruits and vegetables. It is relatively cheap and all natural too! If you don’t like the smell of lemon on other fruits and vegetables, you may skip adding it onto the fruit and vegetable wash mixture. You can reviews my other articles at Natural Health Care Reviews. Feel free to share my blog site to your friends and family and they may get benefits as well. Wrinkles are sign od ages. How you remove them? As people age, their skin becomes saggy and creasy with the appearance of wrinkles. Wrinkles are fine lines that appear on the face – usually in the forehead, near the mouth and the neck that is a result of lack of collagen.They don’t really cause any bodily harm but can very much affect a person’s self confidence. Here are a few home remedies that you can try to help get rid of those nasty fine lines.Hydrate. There is no better way to keep the skin elastic but to make sure that you drink enough water in a day. It is recommended that you drink 8 to 10 glasses of water a day to keep your skin moisturized, elastic and with a better tone. Give yourself a facial massage. Massaging the skin can help improve blood circulation. Doing a facial massage regularly also helps tighten up the skin and reduce the risk of developing wrinkles in the near future. Use skin care oils like vegetable oil, olive oil and coconut oil on your face. Make sure to rub it in and massage the face thoroughly. Leave it on for at least 15 minutes and rinse off. Using oil will moisturize the skin and make it somehow more elastic. Eat more fish and dishes that contain omega 3 fatty acids. It can make your skin look better by nourishing the skin cells and help them hold moisture longer. Omega 3 fatty acids can also help make the skin cells firmer. There is no better way to keep the skin elastic but to make sure that you drink enough water in a day. It is recommended that you drink 8 to 10 glasses of water a day to keep your skin moisturized, elastic and with a better tone. Found this article beneficial??? Share This to Your Friends. One of Your Friends Might be waiting for Your Share. You can read more articles at my blog at Natural Health Care Reviews. What Are Natural Metabolism Boosters: Why Do You Care? Metabolism refers to the bodily process of creating energy through calories. A healthy metabolism not only paves way to a healthier body but also helps most people maintain their ideal weights. There are several fruits, vegetables and herbs that can help boost the body’s metabolic rate. I am not going to list out all but here are a few of them. Cayenne or cayenne peppers increase fat metabolism and help in weight loss. Add it in several food dishes. Cinnamon stimulates and helps in metabolism. It is also being used as a weight loss aid. You can add it in pastries like cakes, cupcakes and pies. Green tea helps increase metabolic rates and is also a popular weight loss aid most especially in Asia. Simply consume 2 cups of fresh green tea a day. 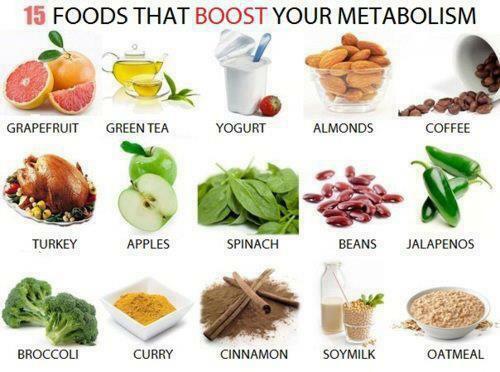 You can also do the following ways to increase your metabolism rates. Drink water. Water can help flush out toxins in the body – making way for faster metabolism. Some people say that drinking water helps metabolism because it replaces sodas, alcohol and other drinks that are quite more difficult for the body to break down. Never skip breakfast. Breakfast helps fuel your body throughout the day’s activities and also helps give energy to the body for breaking down food and other things you have consumed. Keep your metabolism going by eating small frequent meals throughout the day instead of consuming heavy meals. This practice will help lessen the burden on the body by dividing the amount of food that needs to be broken down to a more acceptable level all throughout the day..